Coole Beans- A brown coffee ale beer that uses its hop flavor of chocolate and caramel characteristics and infused with a local roasted coffee.Oak City Roasters make this coffee exclusive for Oak & Dagger in house just for this aromatic beer.I will also be including these ingredients into making this soap., This is a unique Fragrance of beer and coffee. Made with real ingredient, just as the Gods did! 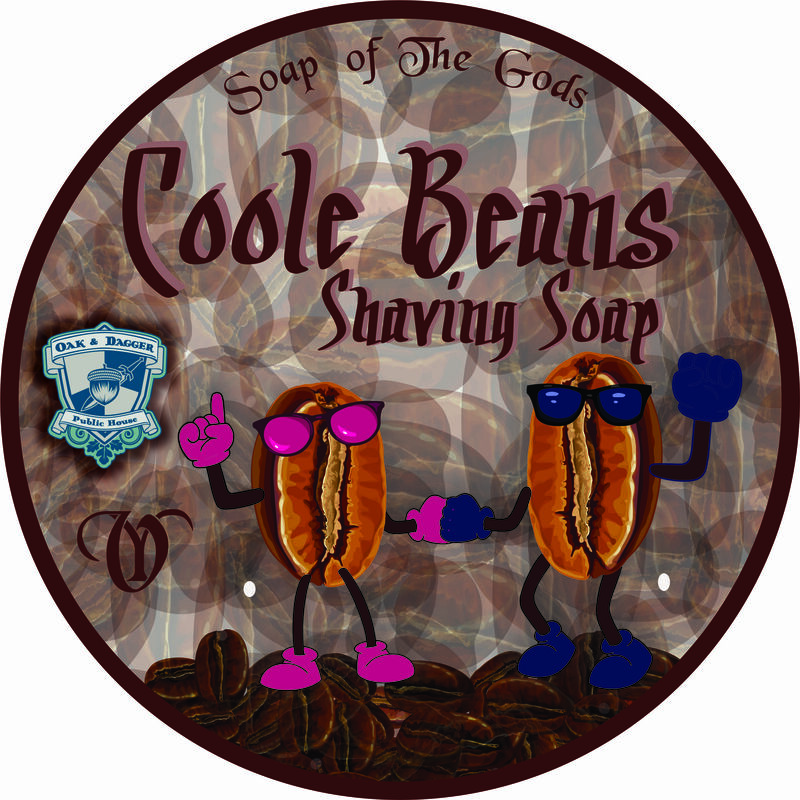 Made with Stearic Acid, Oak & Dagger Beer, Coconut Fatty Acid, Castor, Glycerin, Potassium Hydroxide, Babassu-Emu-Manteca-Argan-Oils, Abyssinian Oil, Kokum Butter, Calendula, Chocolate Hops Powder, Powdered Coffee Beans,Extracts, Poly Quats, Sodium Lactate, Allantoin, Silica, Mica, Kaolin Clay, Fragrance.